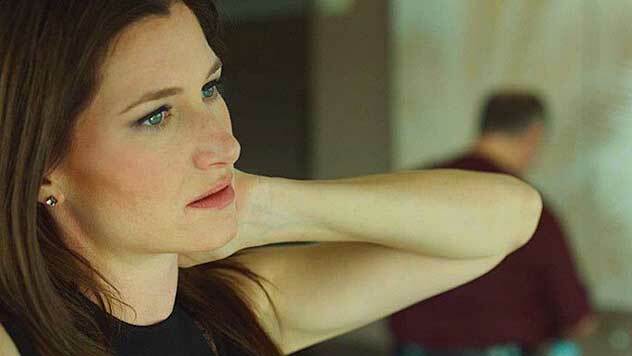 Kathryn Hahn is game for an Afternoon Delight. The always-game Kathryn Hahn (Wanderlust) stars in the 2013 independent comedy Afternoon Delight. Hahn is Rachel, a depressed thirty-something in a sexless marriage, who find an unexpected friendship in an unlikely place. During a night out with her husband Jeff (Josh Radnor, Happythankyoumoreplease), she meets McKenna (Juno Temple, Dirty Girl), a stripper down on her luck. After encountering her again soon afterwards, Rachel invites McKenna to become the family’s live-in nanny in the hopes of helping her get back on her feet, and soon finds that McKenna’s influence makes waves throughout her life. Written and directed by Jill Soloway (TV’s Six Feet Under and United States of Tara), the R-rated film garnered the “Best Director” award at the 2013 Sundance Film Festival. Oh, and it also features Jane Lynch (TV’s Glee) and Michaela Watkins (TV’s Enlightened), which works for us! Released to U.S. theaters on a limited basis in August, 2013, Afternoon Delight received a fair assessment at Rotten Tomatoes, garnering a 6.2/10 rating based on 61 published reviews.